Enjoy a pint of Foster's on us during the World Cup or whilst stocks last. Monday 18 June, promotion starts 18.00 in time for kick off at 19.00. Get your collectors card from the bar staff when you buy a pint of Foster's and when you have collected 6 stamps have a pint of Foster's on us. This promotion is only available on Fosters and no other products. 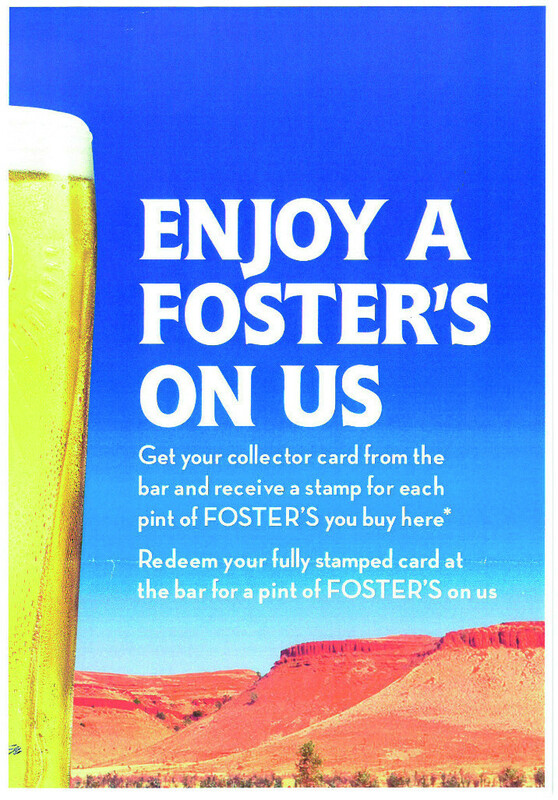 Our members only Monday draught beers promotion will continue but only Foster's will gain a collectors card.